In the last decade alone, ecotourism has swelled under the influx of responsible travellers, who desire adventure - and sustainability. Locations like Hawaii have blossomed with environmentally responsible hotels and tours; bringing tourists closer to nature while protecting the natural land itself. According Blue & Green Tomorrow’s Sustainable Tourism 2014, 43% of polled participants said that they were considering their ethical and environmental footprint of their main vacation. But although sustainable travel is often promoted by both tourists and businesses alike, is it all what it appears to be? Sadly not. When there’s an upswing in demand for anything — be it a designer handbag, or exotic getaway — the competition becomes fierce. Many so-called “eco-tourist” retreats are actually far from sustainable, and can come with dramatic consequences for the environment. Here are some of the worst cons that have sprung from the eco-tourist movement. What nature lover wouldn’t want to see majestic whales in the wild? We’re sure as hell not going to Seaworld. Whale watching is a beloved past-time for animal lovers across the world. It’s also highly profitable for those offering tours — whale watching as an industry has a global revenue worth $2.1 billion. Finding a responsible whale watching tour isn’t easy. Whale watching is largely unregulated, with only 38% of whale watching codes are enforceable. The rest of the rules are mostly at the discretion of tour managers. The environmental consequences of whale watching are varied. Boats frequently chase down the animals in order to get a better look. This has resulted in many boats hitting the whales, which can severely injure them. The noises caused by engines can disrupt mating routines, and animals are driven away from feeding areas in order to escape the boats. How can you choose a responsible whale watching tour? Ask the tour provider about what whale watching codes are enforced, and see how they respond. A responsible eco-tour will usually state that they won’t “chase” the whales, but rather anchor off at a safe distance to watching the whales without disturbing them. Tigers are one of the most majestic creatures in the animal kingdom. If you wanted to see a tiger up close, it would seem reasonable to visit a tiger sanctuary. However, the word ‘sanctuary’ is grossly misleading — especially in areas like Thailand. These sanctuaries claim to be helping the tigers, and for a fee, you can sit next to a tiger and pose for a photo. But the truth is nothing short of barbaric. Tigers are natural hunters. In the wild, they can sprint up to 45 mph to catch prey. They’re also one of the only subspecies of big cats that love to swim! You won’t see a tiger running or swimming in a foreign tiger temple. 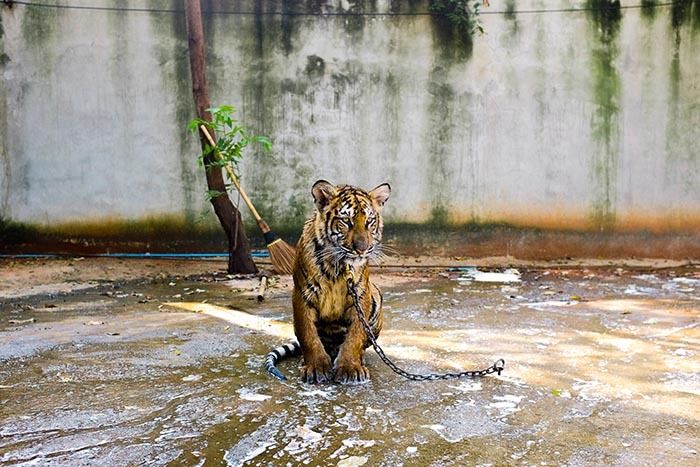 In order to keep the animals docile for the tourists, the tigers are chained to the ground and pumped with sedatives. In order to mitigate the risk of a tiger encounter going wrong, the tigers often have their teeth and claws removed. As if that wasn’t barbaric enough, the captive tigers have the tendons in their wrists cut so they are unable to swat or run with speed. Seeing a tiger pace the cage in a zoo is heartbreaking enough, but tiger sanctuaries are unbelievably cruel. Never ever support the industry of Tiger Temples. Currently there are more tigers kept as American pets, than there are in the wild. Although tigers may be beautiful to behold, they’re dangerous and should be respected. If you love tigers, watch a documentary about them, or donate money to a research charity. Leave them in the wild, where they belong. The death of Cecil The Lion sparked global outrage last year. 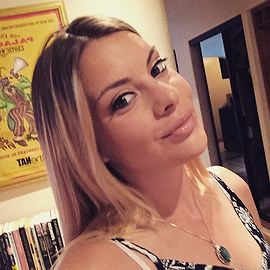 It was a gruesome crime that reminded us about the gruesome nature of big game hunting. No responsible traveller in their right mind would support big game hunting. Which makes the relationship between cub-petting and canned hunting even more despicable. Cute and fluffy lion cubs are handled by humans on ‘lion camps’ from birth. Tourists can visit these resorts, and pet the cubs in addition to taking photographs with them. Travellers are tricked into thinking their donations are helping a lion sanctuary, while having no idea that the cub nestled within their arms is destined to become a wall mount. What they don’t know is that when the lions reach maturity, they’re later sold to big game hunters. They’re easy to hunt - having spent their lives accustomed to positive interactions with tourists. The big game hunters trap the lions in an enclosed area, and spend hours following the animals from the safety of a truck to shoot the lions with shotguns or crossbows. The demand for canned hunting is high. Big game hunters from overseas are willing to shell out thousands for the “prize” of a dead lion pelt. To meet the demand, lion camps will operate something akin to a big cat puppy mill. The cubs are immediately taken away from their mother, so she becomes fertile more quickly, and the cycle continues. Elephant rides are extremely popular in areas like Thailand, where they’ve become part of the traditional tourist experience. In order to sustain the foreign demand for elephant rides and performances, elephants are illegally captured and horrifically abused. The plight of an elephant destined for tourism is agonizing to read about, so grab the tissues before you keep reading. Elephants are both highly intelligent and sensitive. They also have an amazing capacity for memory - hence the expression “an elephant never forgets.” Which also means that they can remember every horrific thing that happens to them. A baby elephant is ripped away from their mother by poachers. They’re confined into a small pit and routinely tortured until they become submissive. This process is called Phajaan, or “the crush” by captors. Phajaan includes being beaten by clubs pierced with sharp bell hooks. If this hasn’t made your stomach turn, this image will. After the elephant has been “crushed” they’re taught to perform tricks, or accept human riders. While it may seem like an adorable way to spend your time abroad, by paying for elephant attractions you are sustaining the torture of baby elephants. Don’t despair if you love elephants. There are actual elephant sanctuaries in Thailand, like the Elephant Nature Park, where you can interact with elephants in a controlled setting. This experience does not include elephant rides, which is how you can tell it’s legit. In the town of Gansbaai, South Africa, cage diving is one of the leading activities for tourists. Most shark tours like to tout credentials boasting of sustainability and helping educate tourists about the importance of marine conservation. But there’s a catch. As demand to see the ocean’s apex predator grows, so does the competition to provide the biggest scares along the ride. Tourists aren’t content with seeing a nurse shark up and close; they want to see the great whites. This demand has lead to a surge of unlicensed tour operators taking tourists out to see the sharks. Illegal operators will chum the waters, letting sharks know that food and people humans are related. Some critics think that this is to blame for a rising increase in shark attacks. Aside from the Jaws factor, irresponsible shark tourism can be dangerous for the sharks themselves. In a feeding frenzy, a shark can easily injure themselves while thrashing into the cage. If you want to see sharks in the wild, make sure the tour operator is fully licensed. As a side note, freediving model Ocean Ramsey has made a viral career out of posting videos of her freediving along dangerous sharks. Although you may dream of the social media cred that would come with such a photo opportunity, don’t be fooled. While those like Ocean Ramsey may promote ocean conservation, should one her stunts go wrong (or should a copycat attempt it) the real victims will be sharks. After Steve Irwin was killed by a stingray, multiple stingrays were killed in retribution despite Irwin’s lifelong message of conservation. A number of illegal tours in Guadalupe and South Africa have sprung up, offering outside-of-the-cage experiences for willing tourists. While nothing has happened yet, every time a shark attack occurs, a shark cull is often discussed alongside it. After Blackfish we’re familiar with the barbaric practices of Seaworld. In addition to covering up multiple deaths, and general inhumane practices, Seaworld still offer dolphin swims to paying members of the public. In a-typical vacation destinations, like the Caribbean, dolphin swims are commonplace. But think twice before you sign up. Dolphin pens, including those at Seaworld, are too small and shallow for a creature that can swim 100 miles in just one day. Dolphins are ritually starved and mistreated in order to be able to perform tricks for entertainment. Dolphins are among the smartest animals in the animal kingdom. As a result of being forced to perform in captivity, they can experience psychosis. Captive dolphins have even committed suicide as a result of this psychosis. As visitors continue to attend dolphin shows, the industry will continue to profit out of the suffering of cetaceans. We’ve seen huge strides towards progress through the public’s rejection of Seaworld in recent months. If we continue to boycott cruel attractions, we can empty the tanks for good. The popularity of animal cafes began in Asia, with the ‘Neko Cafe.’ You might be familiar with the Neko Cafe, known as Cat Cafes, which have gained international popularity. 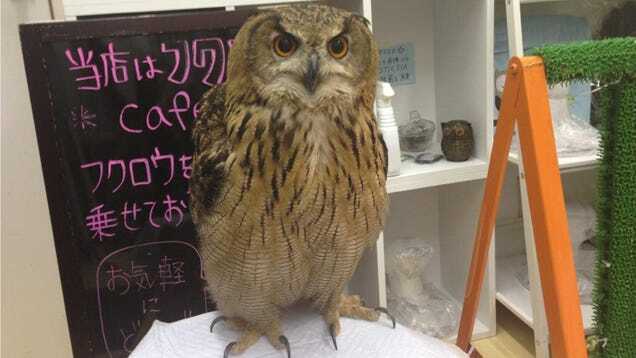 Although cat cafes kicked off the trend, it’s now expanded to include owls, pigs, lizards and even snakes. With the first American dog cafe opening it’s doors in Los Angeles, there’s a worrying trend emerging in exploiting animals over a casual beveridge. L.A.’s Dog Cafe isn’t as bad as it sounds, it only allows visitors for an hour at a time and all of the pups — at high risk of being euthanized in the shelter — are available for adoption. However, for nocturnal birds like owls, there’s no benefit to being held hostage in a loud, bright and busy environment like a coffee shop. Being surrounded by cats may be an animal lover’s dream, but animal welfare experts are hesitant about the morality of animal cafes. Maggie Roberts, from Cats Protection, lambasted the emerging trend. “Cats can be stressed by being in close proximity with many of their own kind, and so the whole principle of a cat cafe when they're having eight, 10, 12 or more cats within a confined space - that can be very stressful. You have an ever-changing population of humans coming in and they will expect contact from cats because they're paying for that contact - and the cats may not want the contact." She also worried about the true intentions of animal cafes. "[Animals are being] exploited as a gimmick to sell coffee" she added. If you want to hang out with animals, maybe just adopt a cat or a dog rather than visiting a coffee shop. As for owls? Owls don’t want to hang out with you. So don’t pay for the opportunity to pose with them over breakfast. When venturing into the wild for an experience of a lifetime, it’s crucial to remember that these are wild animals. They are not rides, or props for a selfie. Any tour that lets you ride, cuddle, or manhandle wild animals should be avoided. The sad part is that most tourists venturing out to these destinations are animal lovers. But by respecting nature, and keeping a thoughtful distance, you get a much better experience observing your favorite creature. "If you love animals, skip these cruel and unsustainable exotic attractions." Most food cooked in a conventional can also be cooked in a solar oven. You’ll get really up-close and personal with your body, and in the end, you’ll probably become more comfortable with your period.